What is Area Events Radio? Are you a new or seasoned long term local family but still find it hard to enjoy living in the Columbus, Fort Benning, and Phenix City areas due to lack of activities? Well, we are your solution! 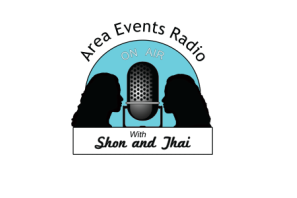 Welcome to the new Area Events Radio with Shon & Thai (Pronounced "Ty") we are your local events scouts and we come together for a fun and exciting radio program that will talk about local and surrounding area events, that are free, and or low cost. I know it may seem hard to believe, but there are MANY EVENTS around here and 2 hours will hardly be enough time to get you all of the information which is why we are a bi weekly show that will constantly gather info for events from ALL around and then some. We promise not to lock you down in just the Tri-City area we are going to go all out to bring you the best of the BEST so that you can enjoy your family despite the economy!